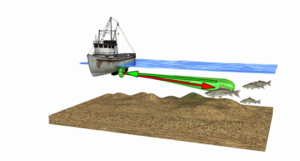 Multifrequency traverse-scan sonar for monitoring marine bioresources in shallow water using nonlinear acoustics technologies (MTSS) is intended for horizontal location of fish accumulations and single fishes, monitoring of marine bioresources in adverse search and fishing conditions of shallow water. MTSS is intended for consumers conducting research (search, detection, monitoring, evaluation) and catch of marine bioresources in inland waters and on the offshore shelf. 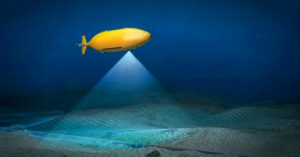 The purpose of the development is to create a comprehensive technology of effective marine engineering surveys to minimize the risks in construction and operation of technical structures on the shelf: drilling platforms, gas pipelines, etc., which is achieved by studying the bottom sediment with a set of geophysical methods as well as by monitoring these facilities during the period of operation. The essence and content of the project, the available groundwork. 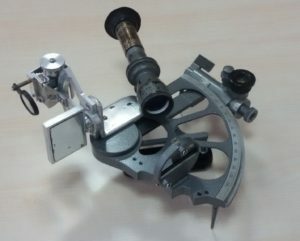 The analysis of the technical means installed on the vessels providing the possibility of obtaining the observable coordinates of the ship’s position allows us to conclude that the only backup (independent of the presence of a radio signal and power supply) is the astronomical way of determining the observable coordinates of the ship’s position when navigating on the high seas. 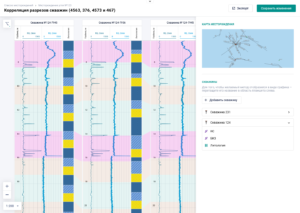 LLC “ActionSpace” within the Digital Design Group of Companies developed the Software Platform for automatic data processing of Well Logging (hereinafter WL) . • A time reduction of WL data processing and a construction of geophysical models.